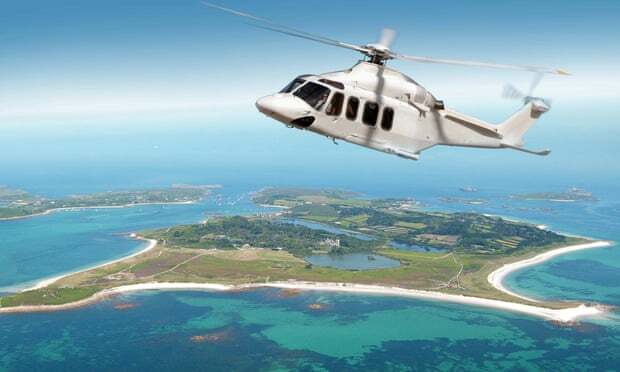 The return of a beloved helicopter service between Penzance and the Isles of Scilly has come a step closer thanks to EU funding worth almost £2m. After half a century of service, the last regular flight between the Cornish town and Scilly took place seven years ago. The operator blamed the stoppage on rising costs, falling passenger numbers and a land dispute over its the heliport site. It was a loss to visitors, who loved the 15-minute trip, but it was even more serious for islanders, who relied on the helicopter for quick getaways to the mainland, including for medical emergencies. Many have reported a slump in tourism, especially in the winter months when the passenger ship stops sailing and fixed-wing planes can be grounded by poor weather. On Thursday Penzance Heliport Ltd said preparation work had begun on building a new base for the aircraft, backed by £1.8m from the European Regional Development Fund (ERDF). The new heliport is just 200 metres from the previous site. ERDF funding has previously supported other Isles of Scilly infrastructure projects including airport redevelopment at Land’s End and quay upgrades on the islands. The remainder of the £4.3m project costs will be from private investment, with the Tresco Estate and the Dorrien-Smith family, who live on and manage the island of Tresco, the largest investors. Flights operating all year are expected to restart in the spring of 2020.